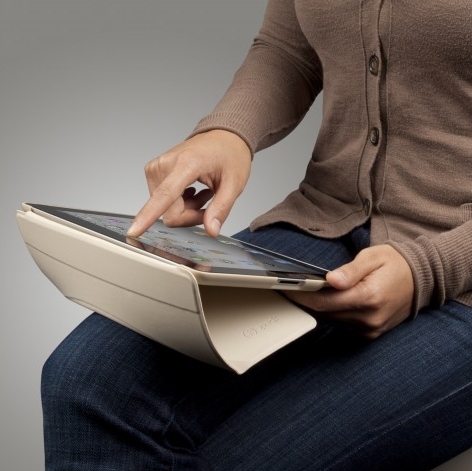 I featured the Speck MagFolio Lounge iPad 2 case in a previous post. It’s a limited edition iPad 2 case and retails for $60 or about P2,500. It’s better than Apple’s Smart Case in my opinion since it has a curved cover that folds into a stand that’s comfortable for lap use. Here is the Spewck MagFolio Lounge case in action. As promised, I am giving away one Speck MagFolio Lounge case (pictured above). If you don’t own an iPad 2, you can give it to someone else or you can sell it. Here are the mechanics if want to join the giveaway. 1. Share this line on Facebook or Twitter or Google+. 2. Copy the link of your Facebook, Twitter or Google+ post and paste it on the comment section below. The giveaway will run until February 29. I will announce the winner on March 1. Only residents of the Philippines may join this giveaway. I will choose the winner via random.org and I will send the item to the winner via courier. CLOSED. Congratulations to the winner, JOSEF CAGAS. i hope ill win this! hope ull win meow! gogogo!